The Girls / Flickorna Sweden, 1968), a classic and rare film offering a variation on the seminal story of the ‘Lysistrata’ by Aristophanes. Part of the Radical Film Network’s ‘1968’ Festival. The Breadwinner (Eire, Canada, Luxembourg 2017), a fine animation set in Afghan under the Taliban regime. The story is conventional, and reminded me of Osama (2003), The animation, which has two styles, one for the film’s present, one for the story told by the heroine, is beautiful to watch. Chesil Beach (British, 2017) is adapted from a novella b y Ian McEwan. A newly married couple spend an evening in a Dorset Hotel and on the nearby beach. Flashbacks fill in the back-story of their romance. With many aspects well done but I thought it did not quite cohere. Redoubtable / Le Redoutable (France, Myanmar, Italy 2017). Some reports found it funny but fans of Jean-Luc are likely to react with dismay. With English sub-titles for the French and Italian dialogue. Filmworker (USA 2017) is likely to please the fans of Stanley Kubrick who, unlike Godard, has a good June: 2001 later this month. 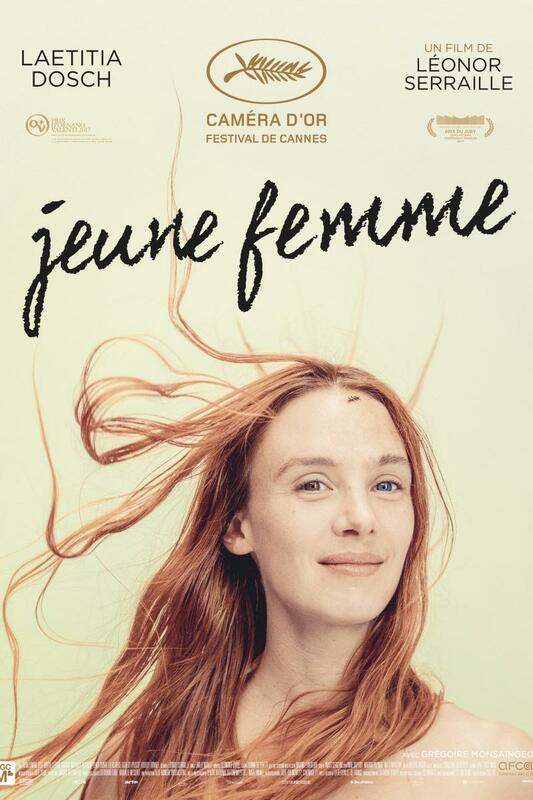 Jeunne femme (France 2017) by a new director portraying Paris and a footloose young woman . Comic and dramatic. Sub-titled in English.